Philips Lighting, one of the well-known brands across the globe is now offering Light Fidelity (LiFi), a technology in which high quality LED lighting provides a broadband Internet connection through light waves. That said, Philips Lighting is the first global lighting company to offer LiFi-enabled luminaires from its existing office lighting portfolio. Philips Lighting is one the company for the Internet of Things and this rollout doesn’t come as a surprise as LiFi is expected to go mainstream very soon. Speaking about LiFi, it is a two-way, high-speed wireless technology similar to WiFi but uses light waves instead of radio waves to transmit data. The company says that its office luminaires are now enabled with LiFi technology provide a broadband connection with a speed of 30 Mbps without compromising lighting quality. 30 Mbps may not sound like a lot, but it will surely get the job done for the most part. It’s worth noting that Icade, the French real estate investment company, is piloting the LiFi technology in its smart office in La Defense, Paris. “LiFi has enormous potential for today’s digital age, and as the world’s leading lighting company we are proud to pioneer new and innovative services for our customers,” said Olivia Qiu, Chief Innovation Officer, Philips Lighting. “While radio frequencies are becoming congested, the visible light spectrum is an untapped resource with a large bandwidth suitable for the stable simultaneous connection of a vast array of the Internet of Things devices. Being a lighting company, we ensure that our customers benefit from the finest quality energy efficient light along with state-of-the-art connectivity,” she added. 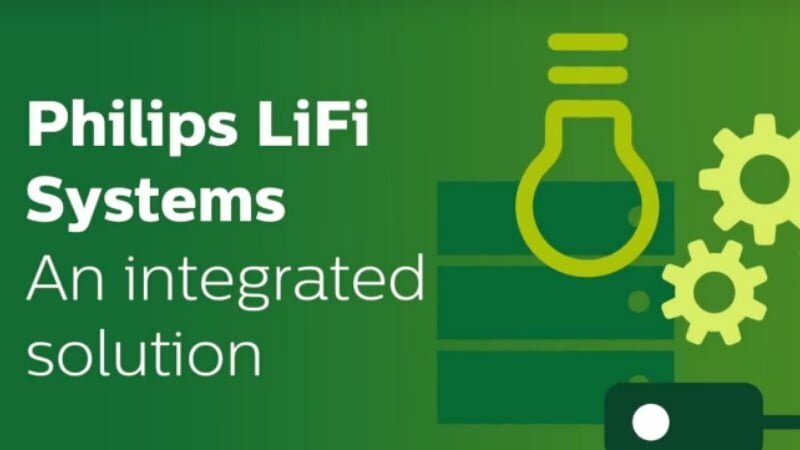 Having said that, it is great to see companies going with LiFi technology as it will be a lot better technology that Wi-Fi. It will be interesting to see how the technology progresses going forward. good, now it will be impossible to hack this LIFI system by neighbors because there are no radio waves of any router in your home. only radio waves will be from your ISP to your receiving antenna. and if you are on broadband with fiber cable, complete piece of mind from hacking of WiFi passwords by neighbors. but he can still hack your computer by breaking via ISP etc. and less radio waves means , sparrows will return to your roof for real tweeting.